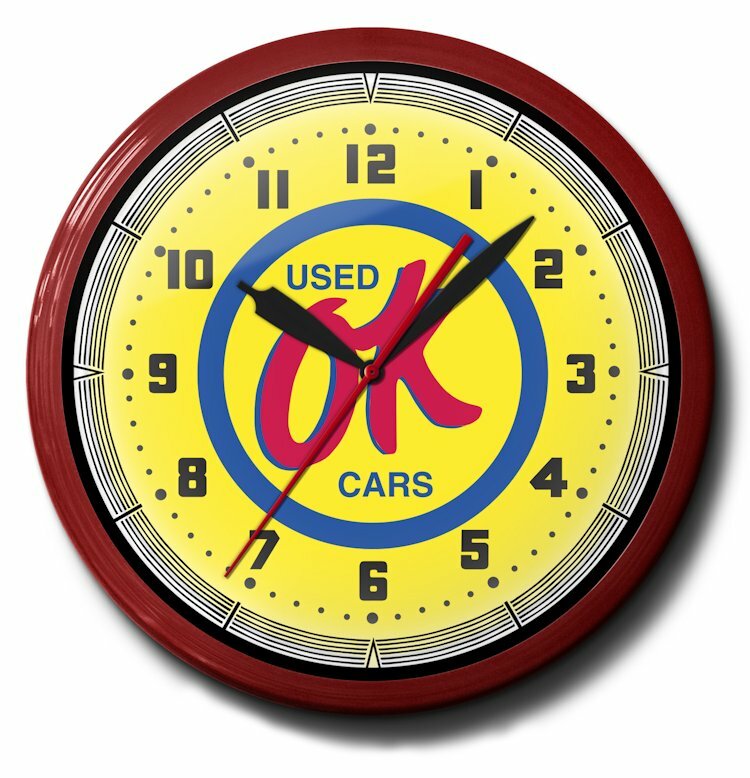 Finding the right touch to add to a classic car hobbyist's home, work or garage can be as simple as hanging a themed neon clock on the wall. These high quality neon clocks provide a hint of the past with unique designs and remembrances of companies and services for original hot rods, classic and muscle cars. Image Time builds every clock to high standards of quality and reliability. Image Time stands behind these hard working clocks that have a history of keeping time for over 100,000 hours and decades of service. These clocks have received global recognition for both style and design using historically accurate artwork and brand recognition. 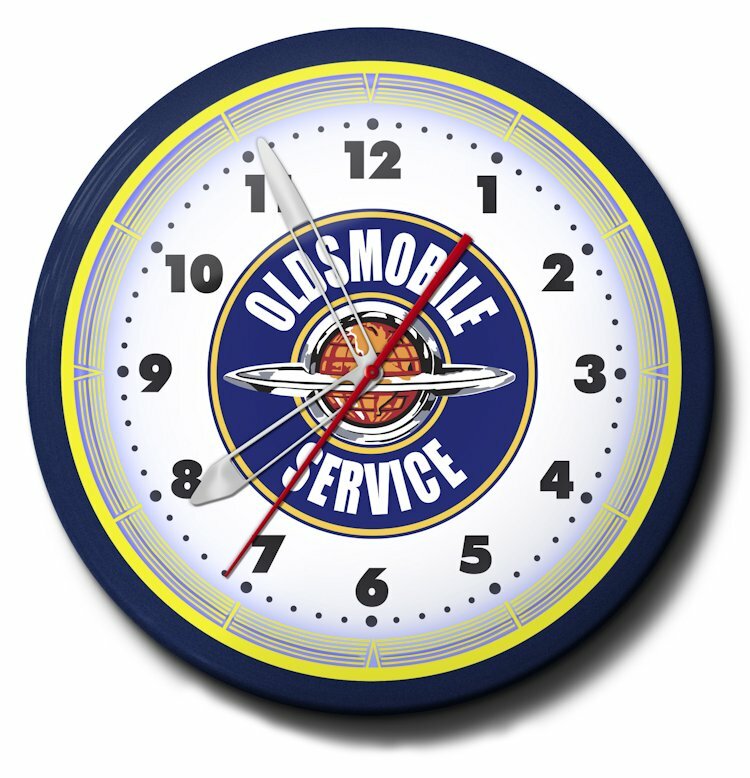 Anyone who enjoys authenticity or history in their collection of classic car literature and items will love receiving a clock of this caliber! 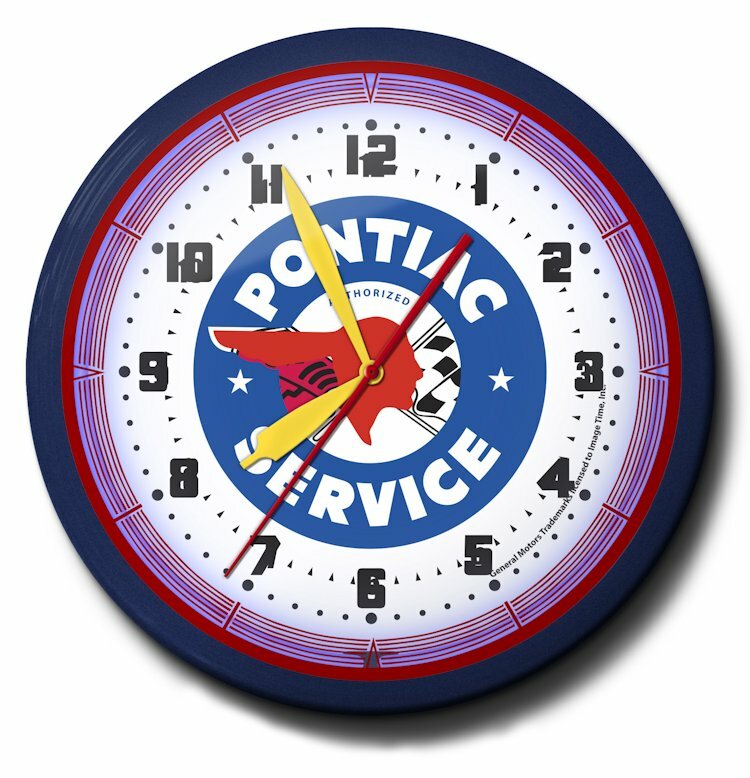 Subject: Neon Clocks with Automotive Parts and Service artwork work / made in America.